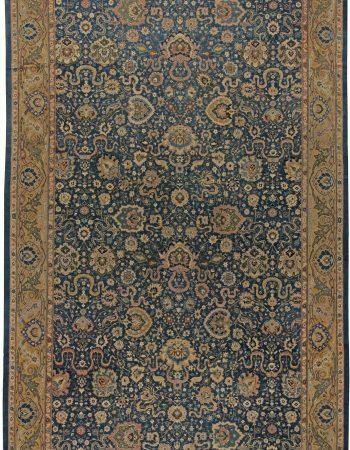 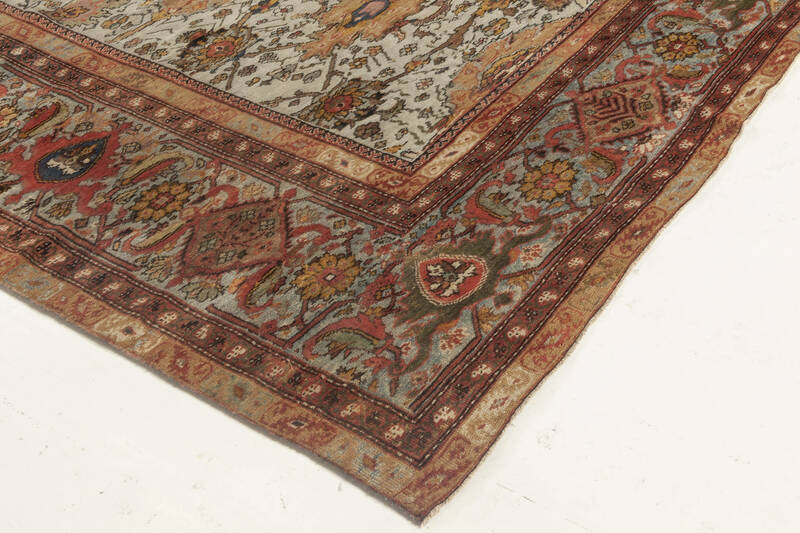 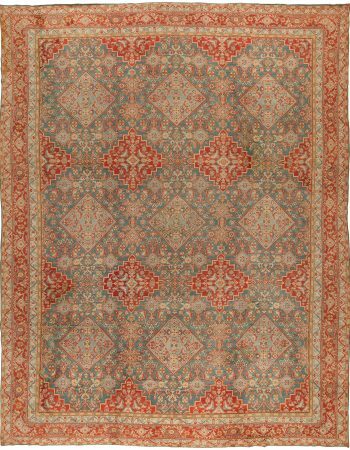 Imposing and well-balanced design-wise, this antique Persian rug is a genuine treasure of the Orient. 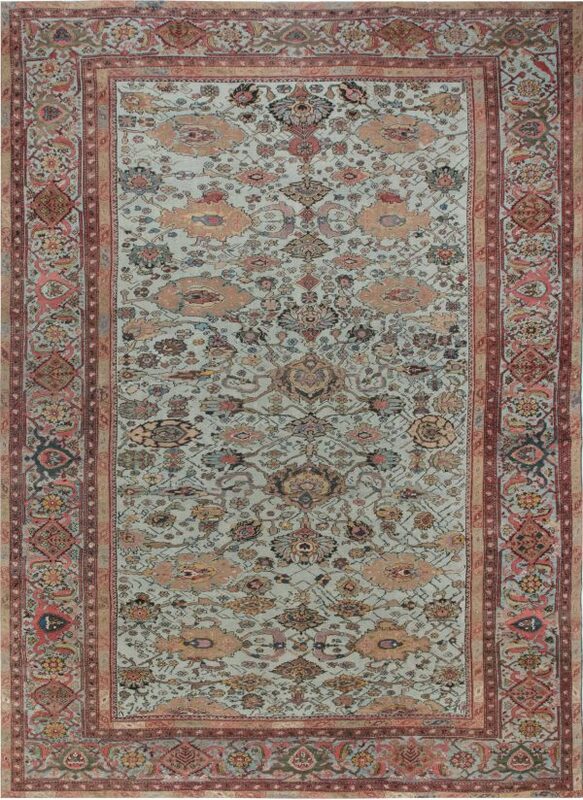 It is also a paragon of the remarkable Sultanabad rug craftsmanship which has been honed since the early 18th century. 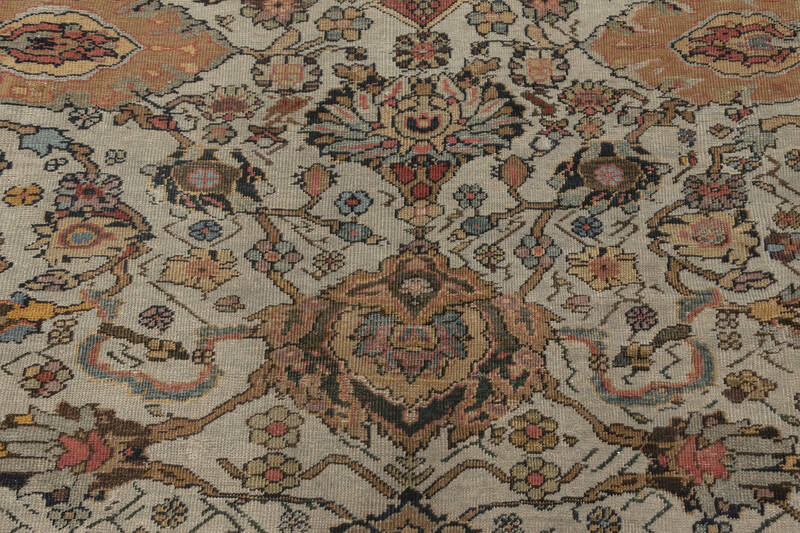 The main field of the carpet is occupied by an allover botanical pattern of stylized foliage and flowery vines concentrated around bold palmettes. This thriving richness is enclosed within a series of borders kept in a similar vein, in which the main one exhibits further stylized floral and palmette motifs. 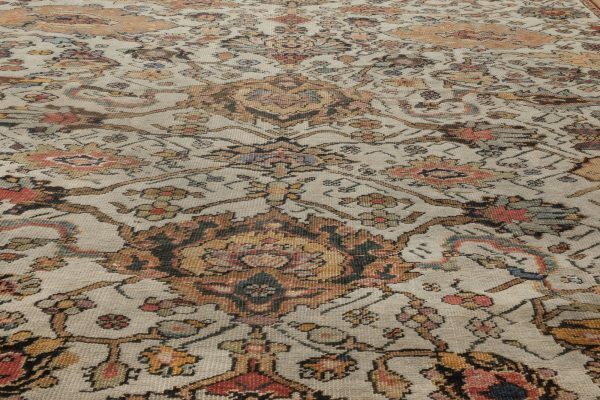 The contrasting yet muted color palette adds even more character to the design without taking away the class. 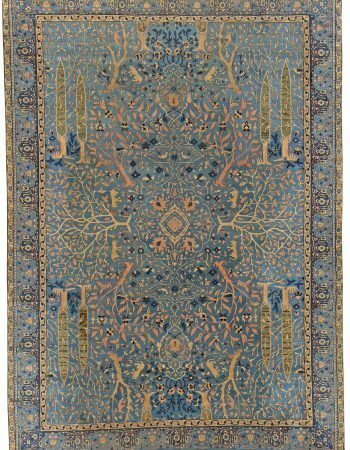 Various shades of blue, red beige, and brown create a playful yet proud composition. 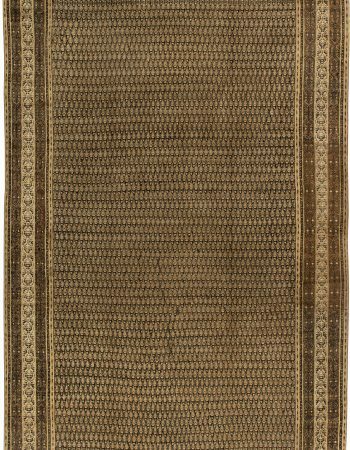 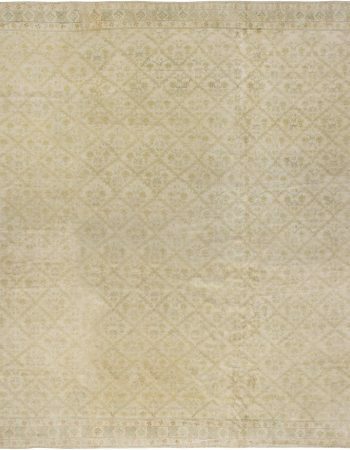 This antique Sultanabad rug will seamlessly match a wide array of décors, bringing in warmth, flair and a touch of elegance. 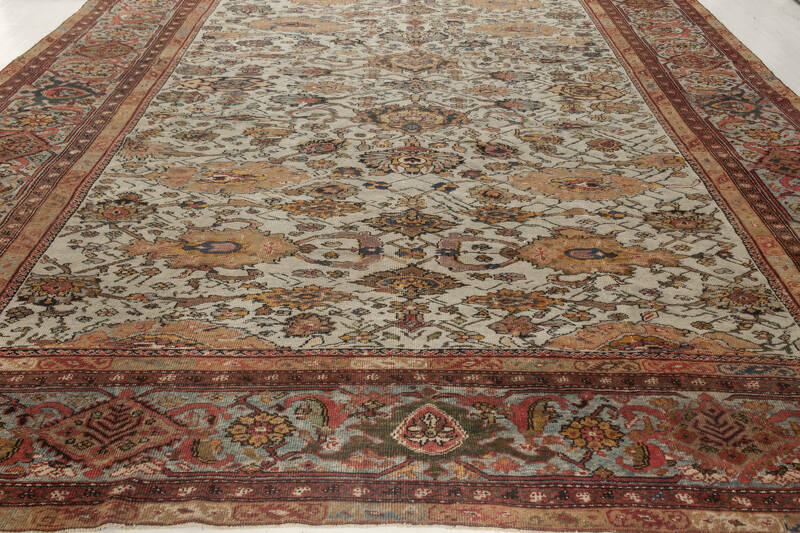 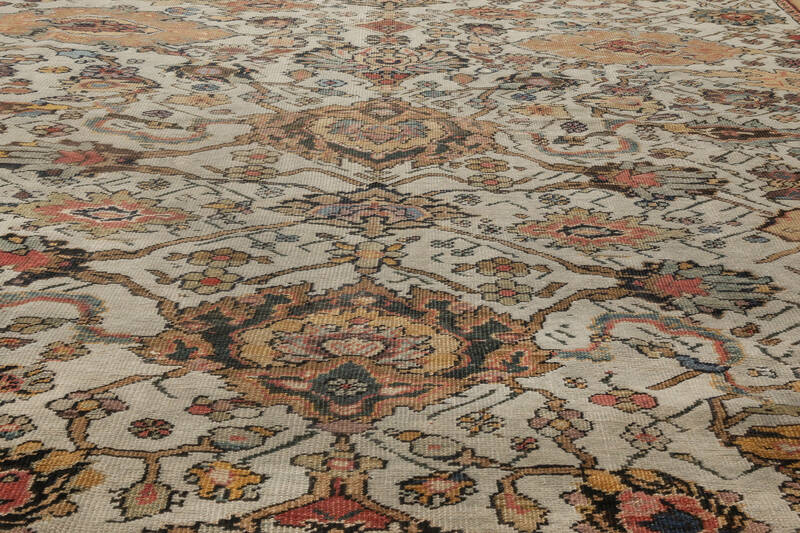 As befits antique rugs from Persia, this one is distinguished by excellent workmanship. 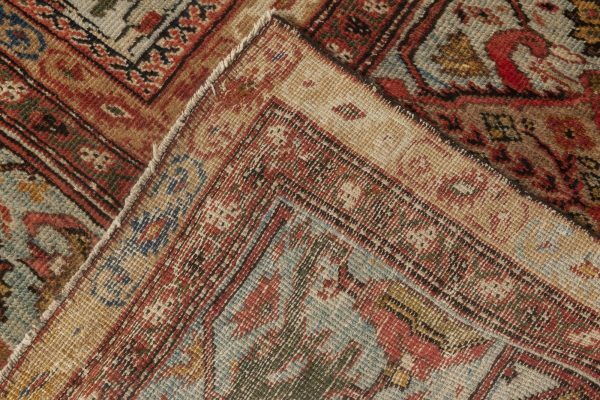 It was carefully knotted by hand of supreme wool thanks to which it looks unscathed despite being over one hundred years old. 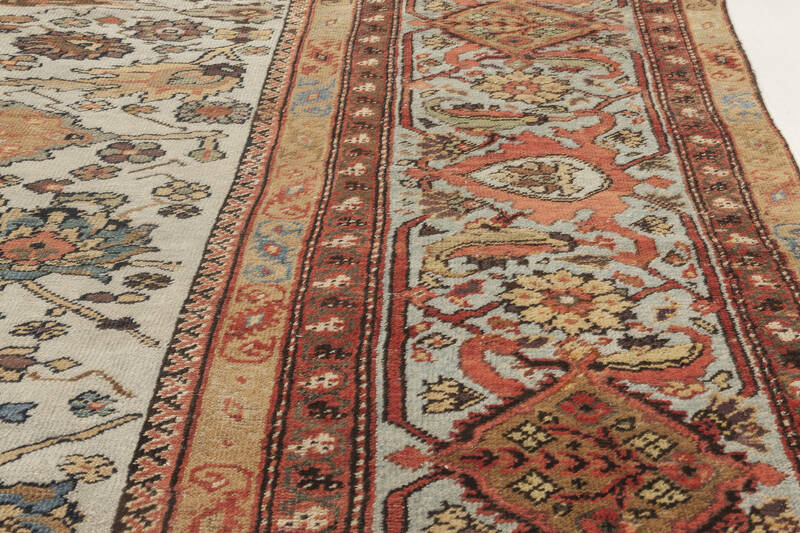 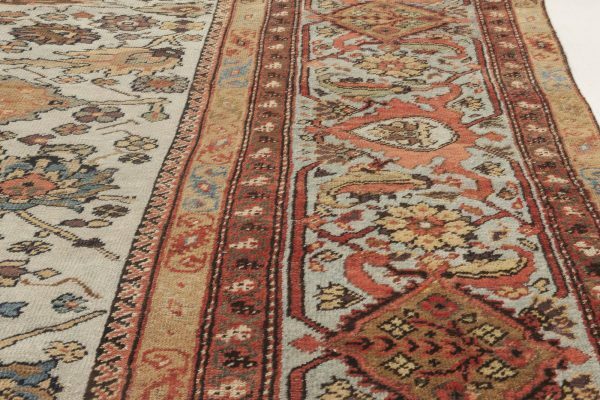 Under the condition of proper maintenance, its owners may rest reassured that the antique carpet will serve many years without any signs of wear, filling the space with a breath of history and recherché charm.